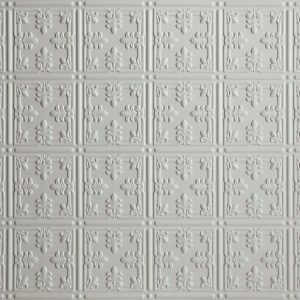 replicate the look of tin ceiling tiles. 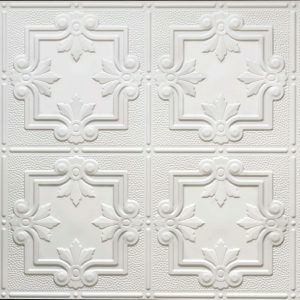 Our 2 ft. x 4 ft. faux tin tiles are available in a white solid colored styrene which you can install as-is. They can also easily be painted any color to match your decor. 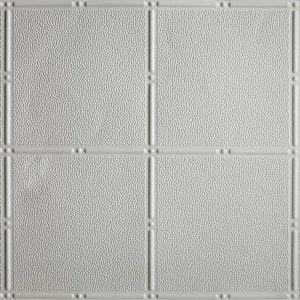 This allows you to achieve the same look as metal panels for a fraction of the cost. Time is also saved with the ease of installation because they are lightweight and easy to work with. 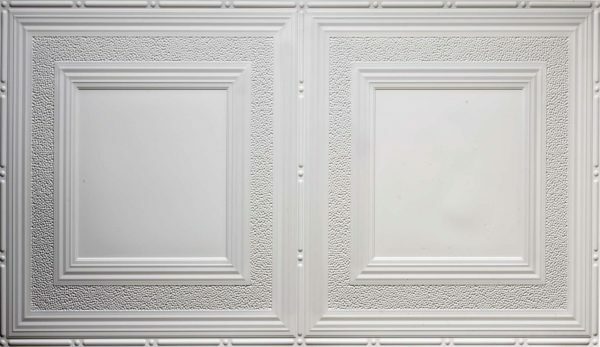 They simply glue-up your ceiling and cut effortlessly with a scissors. 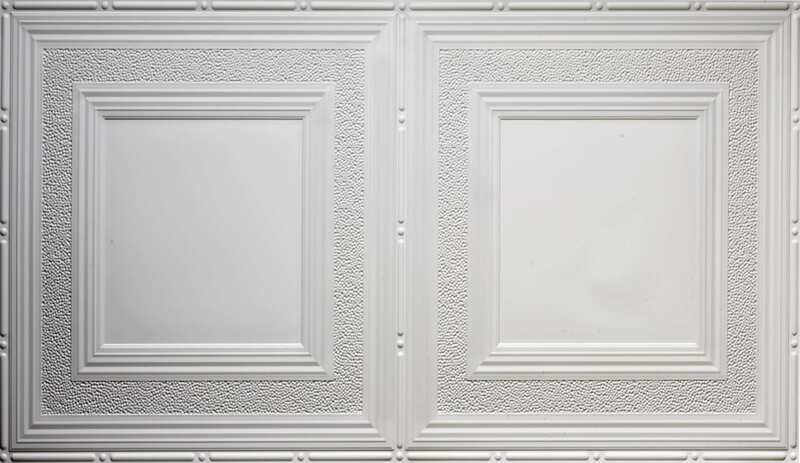 Our ceiling tiles are ready to install right out of the box, unlike metal tin ceiling tiles which need to be painted to prevent rusting, making these a perfect choice for your next DIY project. 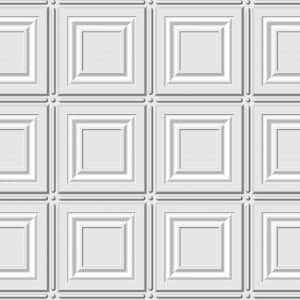 Why use more of your valuable time and money when you can save and it’s impossible to tell the difference after installation with six designs and seven available colors, you’re sure to find something you like. This design has a 24 in. repeat pattern and looks good in large areas.